I first became friendly with her when she had nice things to say about our film, Still Stitching. Over the years, I noticed that she regularly draws attention to others in the VSM community who have offered some useful information, service or product; she's a bit of a "cheerleader" that way, always willing to shine a light on others. I would have never been able to do any of the things I've done without the kindness and help of others over the years. I've chatted at least once with most of the online VSM personalities. When I see good stuff others have taken the time to do, I know how time consuming most of it is, and I like to make sure others see it. I believe in thanking people for their hard work. This is the second time we've interviewed Teena, the first being nearly two years ago. We've enhanced that earlier article with new comments and information. Two years ago, the number of VSM manuals she had nuanced and filed was about 650. Three-hundred and fifty manuals later, we felt it was time to shine a little light on her again. Meet this sewing belly-dancing insomniac with the incredible Google-fu and countless rich friendships in our VSM community. 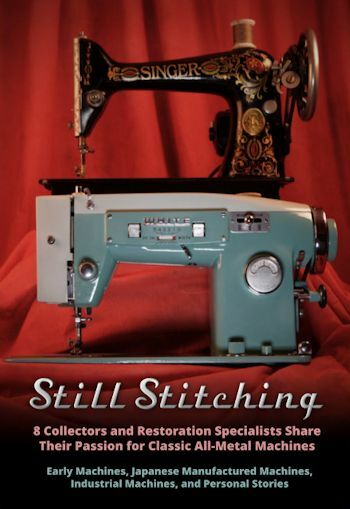 Her story begins with sewing, as most would expect. 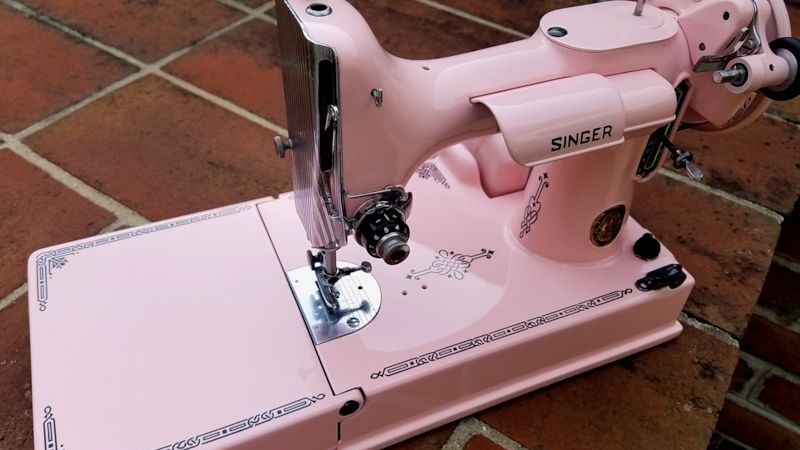 Her mother taught her to sew at an early age, so naturally her Barbie dolls enjoyed a custom wardrobe. 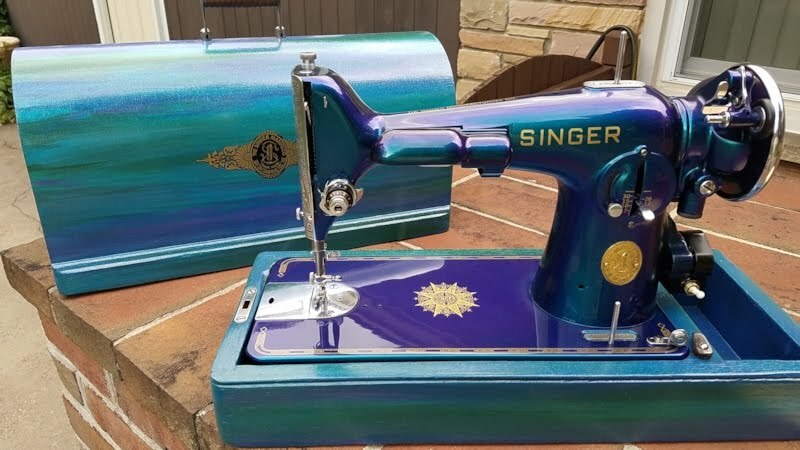 Mother always had the newest Singer, because every time a new one came out, my father would go trade her old one in, and bring home the new one. She even had a Rocketeer at one point. 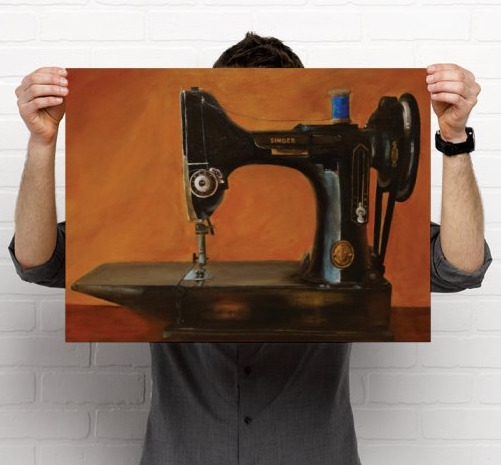 She and my grandmother were also avid quilters, so I learned 'kinda' to quilt as well. In my twenties I made a lot of my own dress clothes, since I worked for a lawyer for many years. 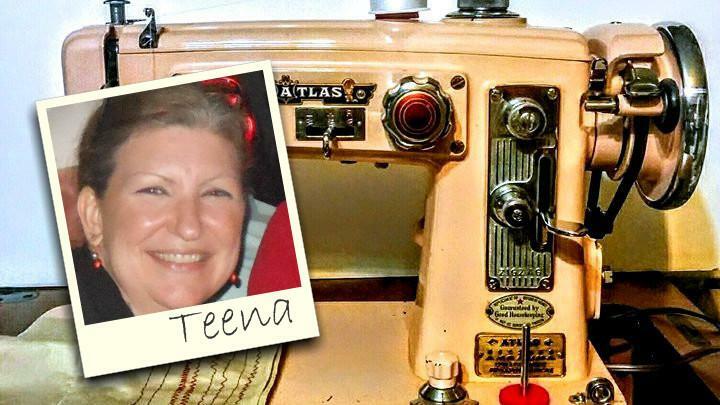 Teena's mother also taught her to refinish furniture, and in her late twenties, Teena operated a small business for a while. Then I had children, and that stopped. I had made costumes for myself for Halloween throughout the years, and once the kids came along that kinda grew into a thing. I made costumes for the whole family at times. We got into going to Renaissance Faires and I started making those costumes as well. Then at 40 I took up belly dancing, so I made loads of those costumes. 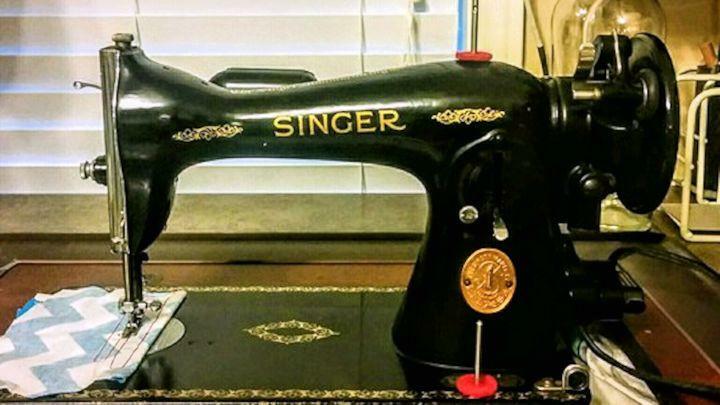 She had been sewing on a Singer 15-91, but the VSM bug had not bitten her quite yet. 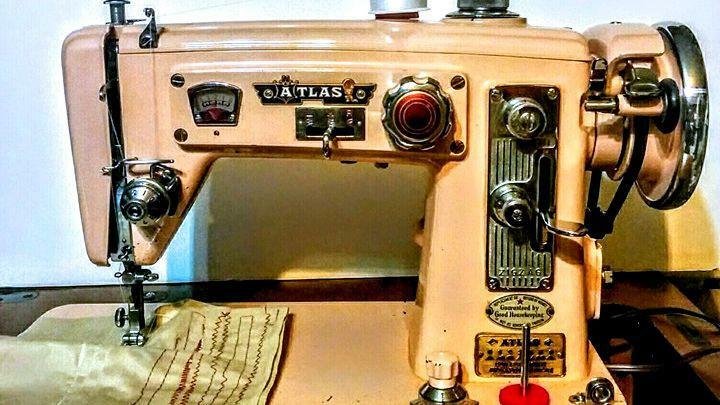 A friend was already collecting vintage machines but found repairs costly. Always willing to roll up her sleeves, Teena figured the basics of getting a machine clean and running shouldn't be too difficult. With her interest sparked, she began collecting her own VSMs from thrift stores and yard sales as well. Years ago she found herself in an online VSM community that hadn't yet reached today's depth and breadth. Information may have been available to the "newbie," but it could take some considerable initiative and digging. I got online, and searched, and searched, and then searched some more. 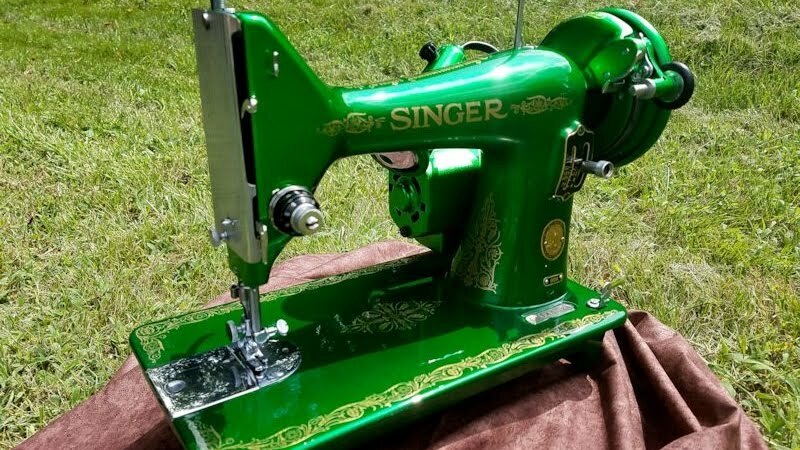 I joined the Vintage Sewing Machine Facebook group and asked the gurus questions when I couldn't find what I needed... I messaged them privately. I asked questions on VSM boards, but I tried not to ask stuff unless I just couldn't find it online first. And from all of that, I taught myself how to work on them, including rewiring motors. Then of course people started GIVING them to me. 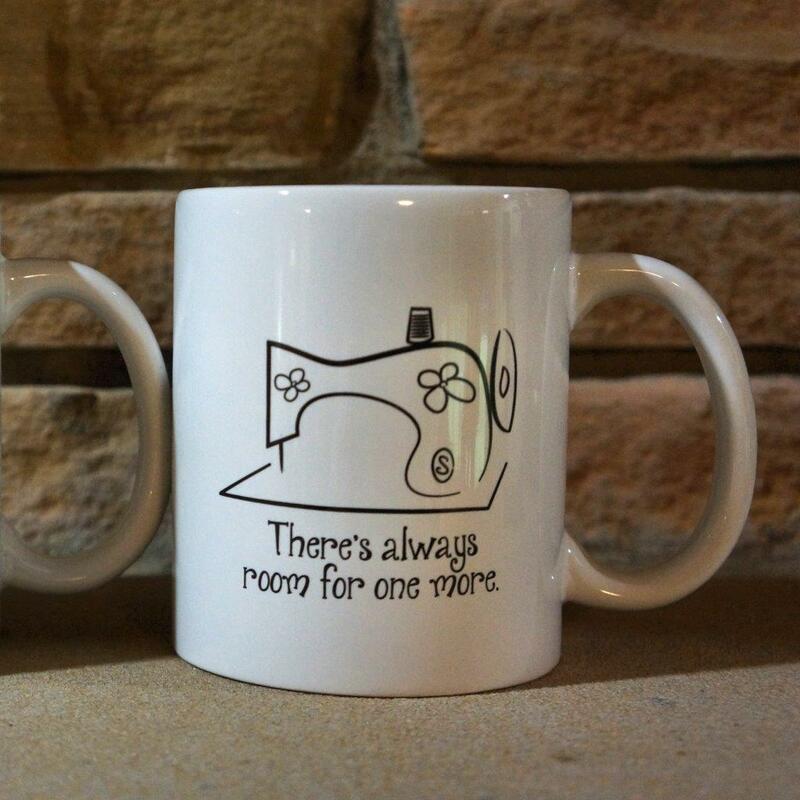 Next thing I know, I have a house full of machines! 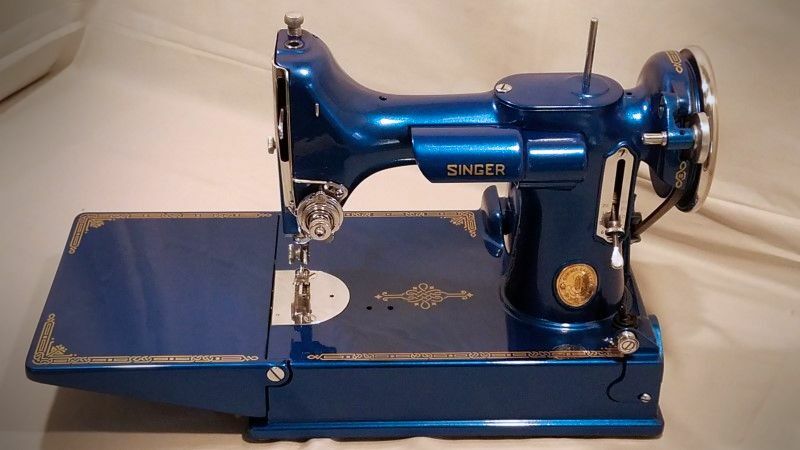 Exploring the various groups on Facebook, she landed on the Vintage Sewing Machines (Non-Singer) group. A night owl, she would be up late chatting with other collectors, and she got to know the group's founder, Paden Wagner. He invited Teena to help with the group's administration. She was intent on being helpful. 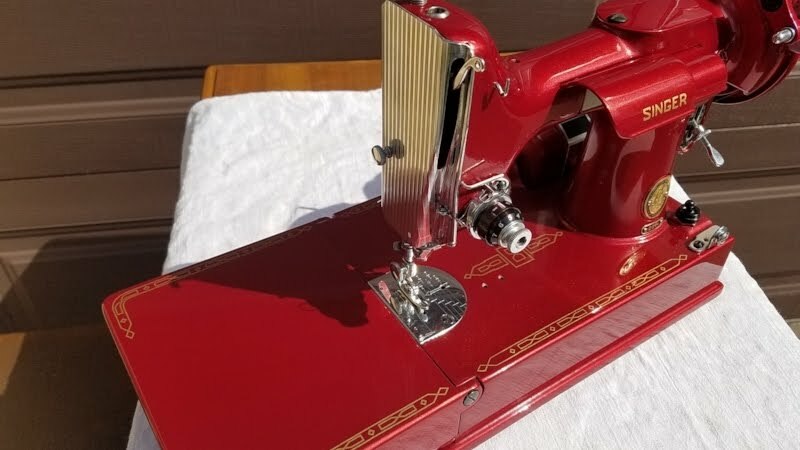 She knew that locating machine manuals was of great importance to the group, particularly in a growing VSM community that was steadily attracting new enthusiasts. She remembered what it was like getting started with VSMs herself, and she became determined to improve things for others - to not just make finding information easier, but to help make it available in the first place. 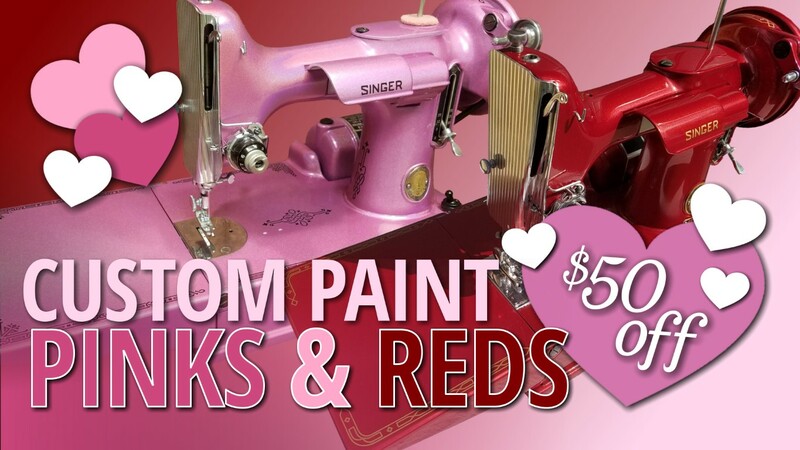 Editor's note: The Vintage Sewing Machines (Non-Singer) Facebook group has a member cap of 5,000. If you're interested to join, be advised that requesting membership doesn't elicit an immediate approval. Also keep in mind that there could be a longer wait as a result of this article. Here's the good news - they've never had difficulty keeping the member population at just under 5,000 because of two things: 1) administrators take care to ensure that members meet basic criteria (non-spamming actual human-beings with no well-known track record of disruptive group behavior), and 2) members need to remain noticeably active with an occasional post or response. These policies help ensure a vibrant community of members. 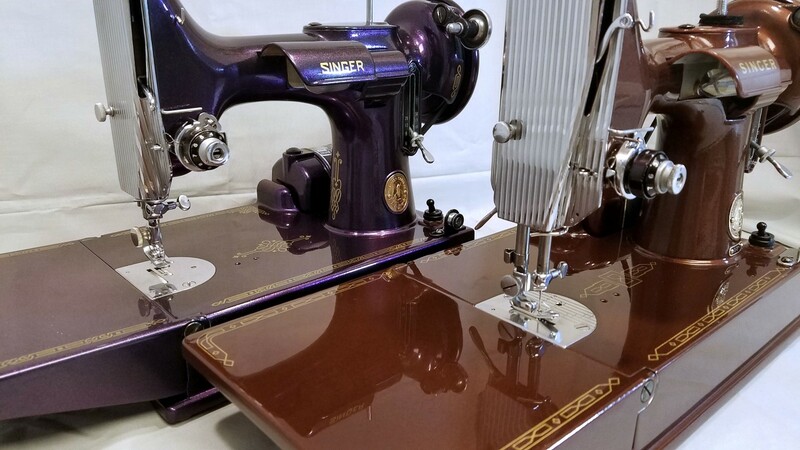 Hunting for documentation can be particularly daunting with non-Singer machines, as there are so many brands and models. Many manuals in the "Non-Singer" file library are scanned in color. 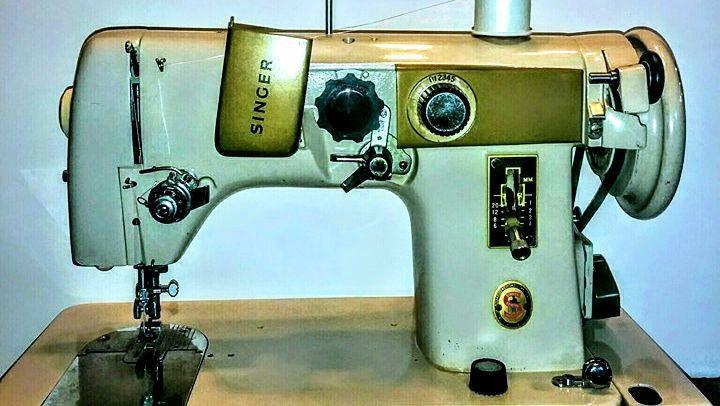 This includes the thousands of Japanese-manufactured machines that were badged with different brand names in the 1950s and 60s. 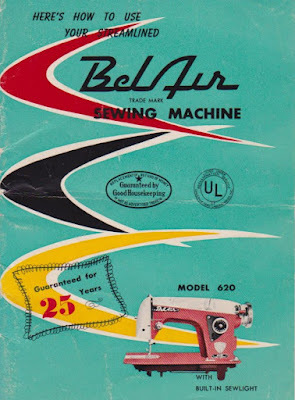 A collector might be looking for the manual for a particular Belair, and it requires resourcefulness to determine that the very same model was distributed by Arrow and Reliable, for example. 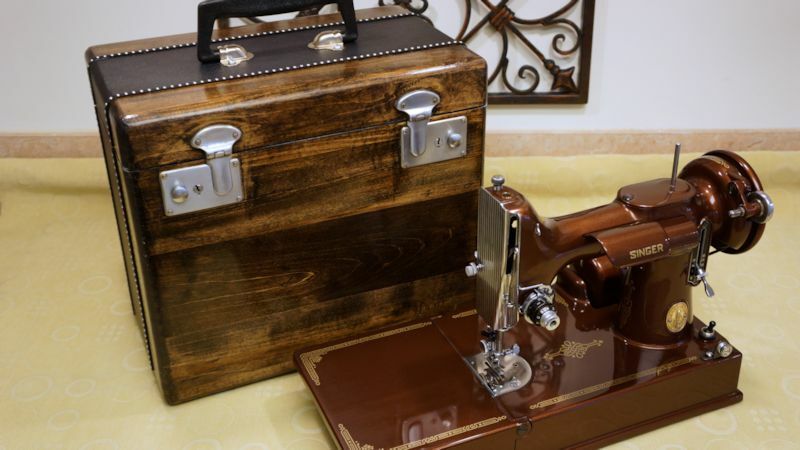 Find the manual for any one of the brands, and its contents will be applicable to each of the identical machines. 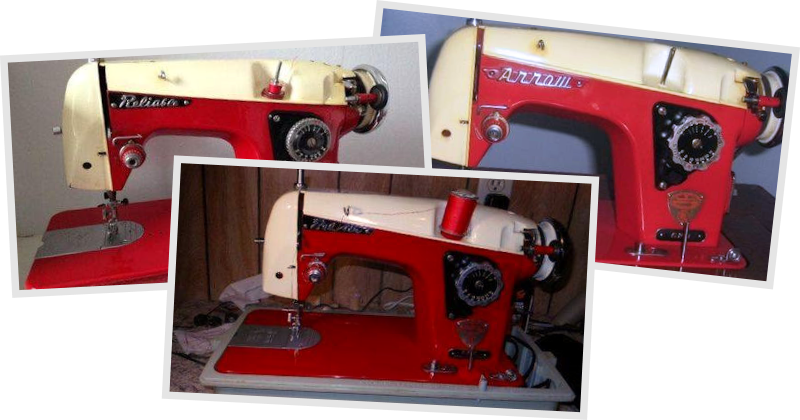 Three Japanese-manufactured machines, each with a different badge: Reliable, Arrow, and Belair. The "Non-Singer" group members would often sort these things out, of course, pointing one another in the right direction and sharing scans and PDF versions of manuals. However, there was no meaningful aggregate of files - they were spread about, sometimes dispersed among members, scattered here and there across the web, sometimes named poorly, and often the scanned images were a mess - pages out of order, missing content, and files just too large to be practical on a mobile device, for example. Teena was determined that the "Non-Singer" group would have an organized library so that once a manual was located and digitized, it would be filed with a sensible naming convention for improved searching. Further, she wanted to achieve a reasonable standard for the quality of the documents. The obvious repository would be the Facebook group's Files section. 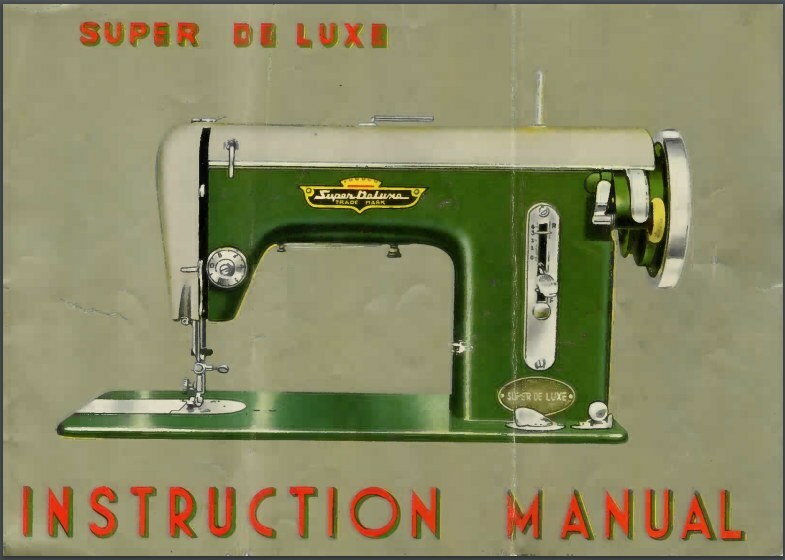 Members of the "Non-Singer" group have access to nearly 1,000 machine manuals as downloadable PDFs. Compiling digital documents isn't always as simple as "scan, save, done!" Dealing with page orientation, coping with missing chunks of information, and other challenges require time and attention to detail. Apart from readability, a casually-scanned multi-page document can result in a large file size that isn't practical, or worse yet, many bloated files that have to be reassembled. Files need to be compressed to manageable sizes without compromising image quality too much. Teena developed skills at refining the manuals with graphic design software and compression tools in an increasingly standardized manner. 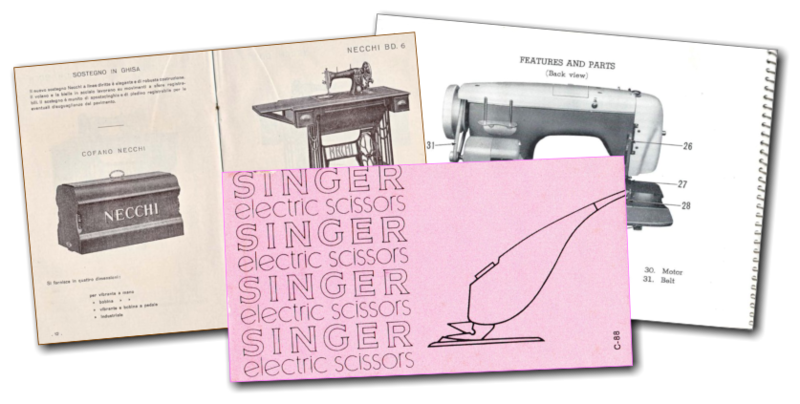 The manuals actually include a few forms of documents, such as catalogs (Necchi above) and accessory instructions (Singer electric scissors above). Of course, the manuals have to come from somewhere before they can be digitized. They are often obtained from helpful group members who share their own digital copies, scan their own paper manuals, or even mail the original manuals on loan to Teena for scanning. In an ideal scenario, a "Non-Singer" group member will access the Files section and download the manual they require, assuming it exists. 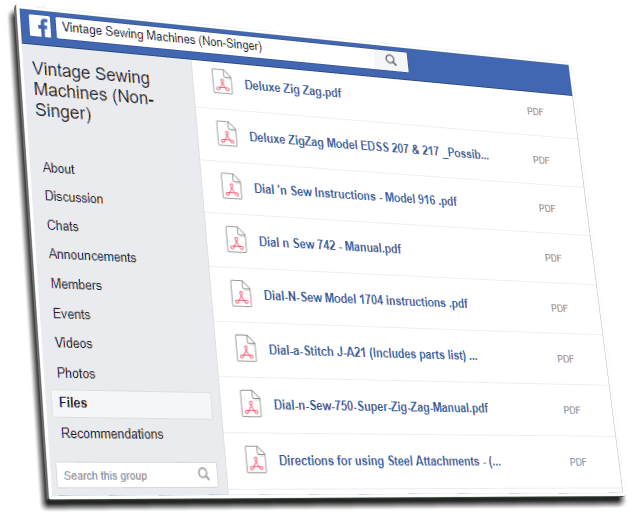 Accessory manuals are also available in the "Non-Singer" Facebook group file library. When someone needs a manual that hasn't been filed yet, Teena sets herself to work. She's resourceful at locating manuals online and through her network of contacts. 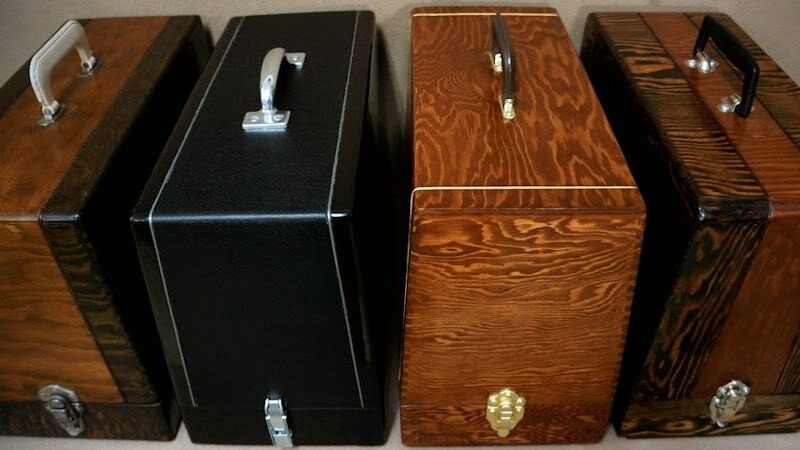 The task of identifying and locating a particular manual can take some considerable sleuthing at times. I love the hunt. I love making the manuals look good again. I have even repaired manual covers, so they look almost new again. I love when someone is so happy that they finally have the manual for their machine. 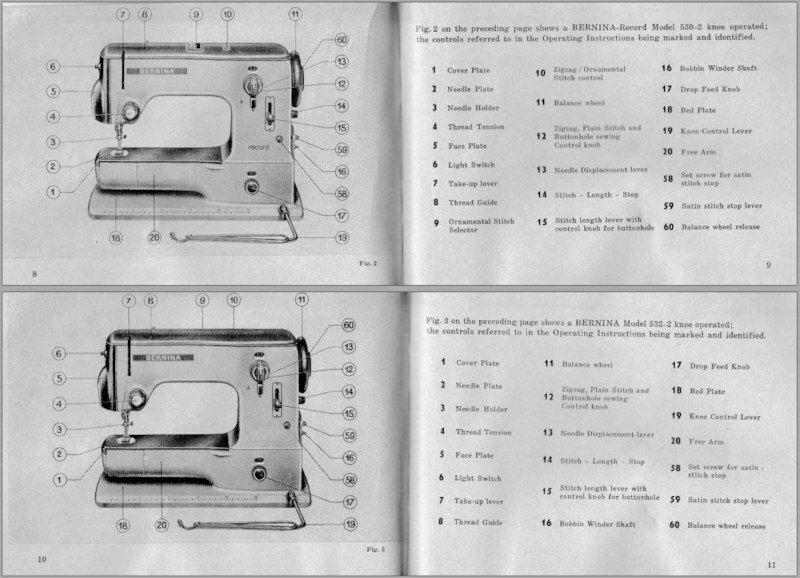 The final appearance of a Bernina manual. It was necessary to compile a number of individual scanned files, convert file types, reorient the pages, touch things up graphically, and compress the final document. "Teena has an ability that no one else I know has," says Grant Gray. 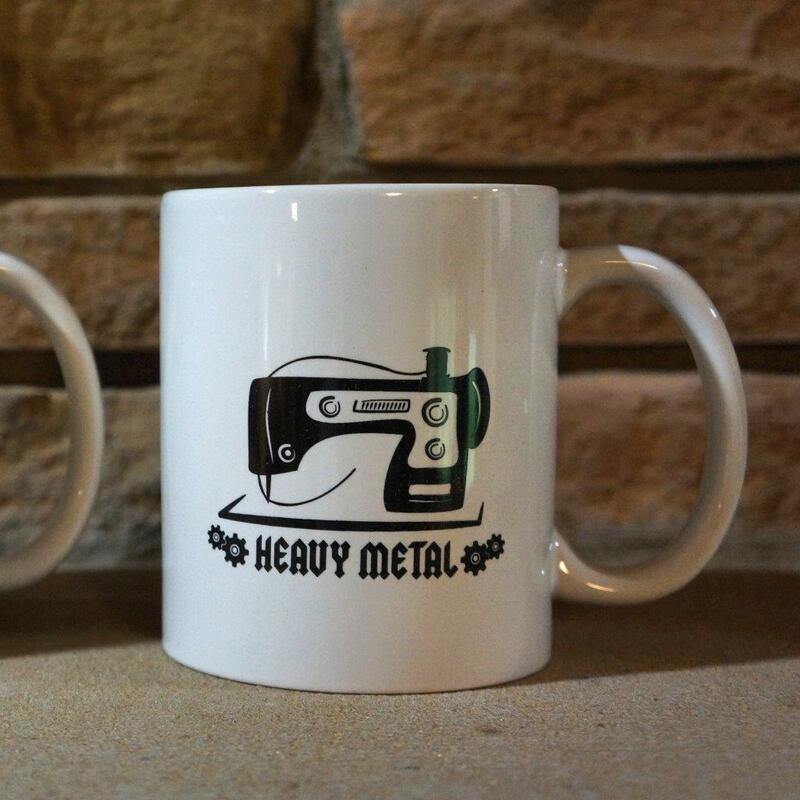 "She can find the most obscure manuals for vintage machines. She has even bought needed manuals so she could share them for free with others. Her selflessness in that respect often goes unnoticed." Working as long as 6-8 hours many nights, Teena considers the time (and money) spent as "paying it forward." Manuals have taken as long as twenty hours total to properly assemble, edit, compile, and compress properly. The manual for the coveted red Belair 620. 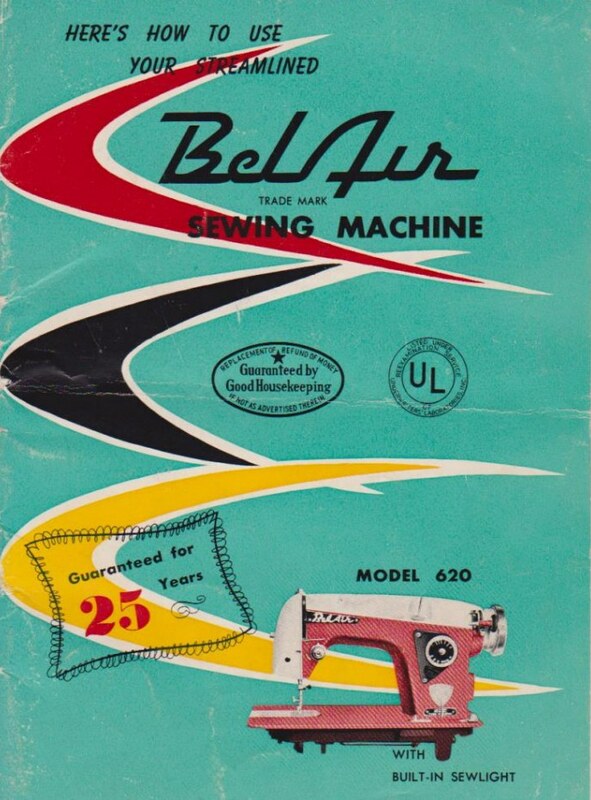 I spent over a year hunting for a manual for the Belair 620. That's the cool red machine everyone moons over. Anyway, I had posted - begged actually - all over the Internet for this manual. Finally, a year later a lady from Canada, I believe, saw one of my posts and message me. She had the manual! I offered to pay her for a copy, but she was a sweetie and scanned it and gave it to me for free to add to our files. I asked her to join the page so everyone could thank her. It was a HUGE celebration when I posted it! While Teena has handled much of the work, she is quick to give credit to others who help. One in particular is Kathy Allard, who has at times been Teena's "right hand gal." A huge thank you has to go out to our members who share their manuals generously with the [group] and take the time and effort to scan manuals and send them to me. We wouldn't have as many as we do without their contribution. 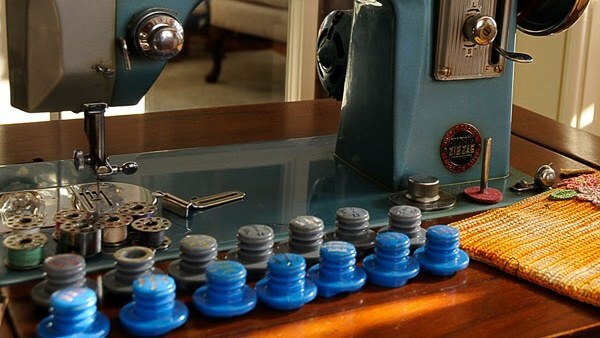 The illustrated cams of a Borletti; indicating the discs and switch positions required to create a particular stitch. 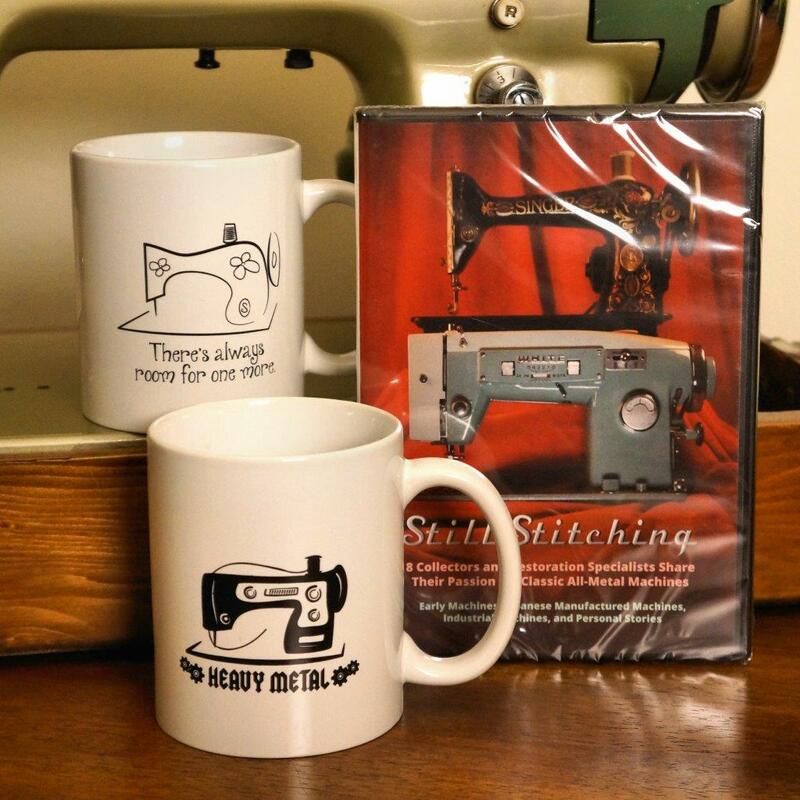 In early 2017, Teena was invited to take over the Sewing Machine Fashion Cams Facebook group. 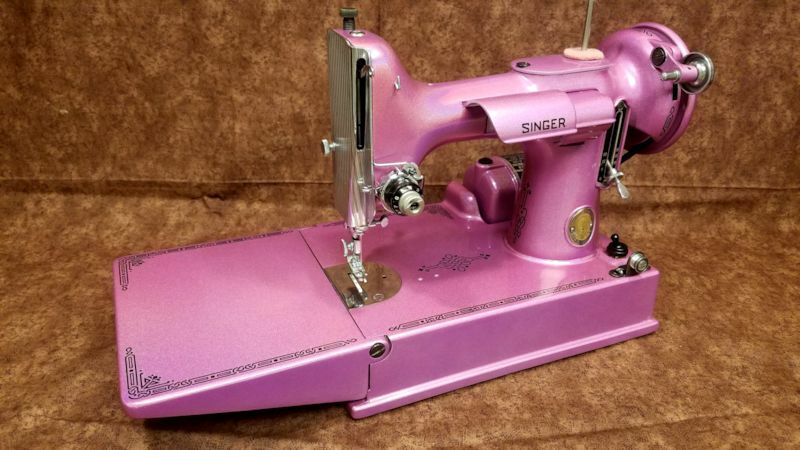 The goal of the group is to "gather information on sewing machine fashion cams (pattern discs), in order to compile a comprehensive list for vintage sewing machine enthusiasts." 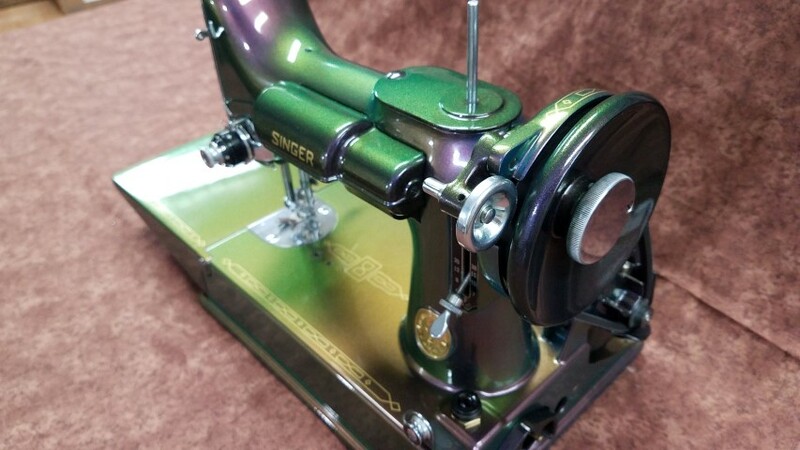 Cam brands such as Elna or Singer are well-documented and not likely to create much mystery, but there are many more obscure models, particularly among Japanese-manufactured brands. Japanese-manufactured cams. Image: Laura Love | Pinterest. Matching orphaned cams to the right model machine, or identifying the correct cams for a particular machine, can take time and effort. Once cams are "married" to the correct machine, it might mean that the owner of the mystery cams can share or sell them to someone who needs them; or someone with an obscure model machine missing their cams will know exactly what to look for when seeking replacements. Even though she's well-known for her work in the "Non-Singer" group, that doesn't mean Teena has an aversion to Singers, especially given her history with the brand. Teena belongs to many VSM Facebook groups. She doesn't mind private messages and will do her best to assist if you need support with a manual or cams. We don't want to post her contact information publicly, but if you can't locate her in the groups, you're welcome to contact us and we'll put you in touch with her. Teena is one of the good guys, if you can’t find it she’ll do whatever it takes to help you Out! Excellent profile article again. I wasn't aware of the manual repository as I'm a Singer freak. But great to know this. 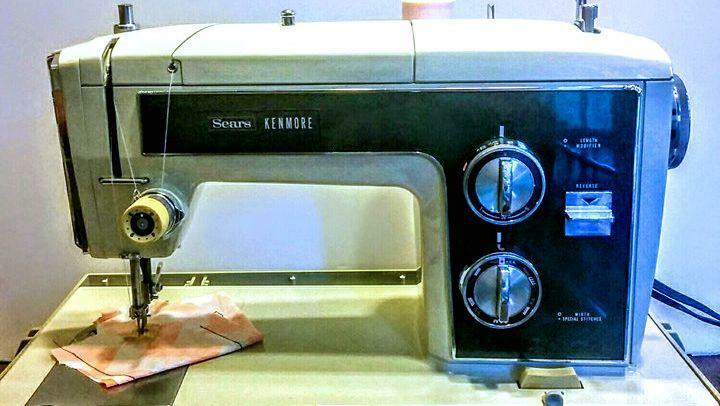 VSM enthusiasts like Teena are, literally, VSM saviors. Without manuals and mechanical information to operate and service VSMs, they would surely end up in landfills! Many thanks for your dedication.